That beginning November 26 and continuing through December 2, 2012, Cayo Hueso, capitol of the Conch Republic, will be transformed into a Caribbean pirates stronghold of days gone by. 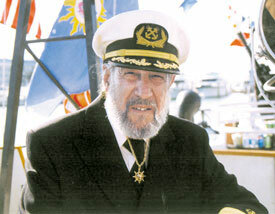 I, Admiral Finbar, First Sea Lord of the Conch Republic, Supreme Commander of Conch Military Forces and Master of the armed privateer, schooner WOLF, along with Vice Admirals Holden & Anderson, and Rear Admirals Grosscup & McNamara, welcome all intrepid navigators and nefarious Brethren of the Coast who have found their way to our fine port for Pirates in Paradise Maritime Heritage & Music Festival 2012. We invite you to join us for a week of carousing and hell-raising as we celebrate the glorious Golden Age of Piracy. A general call is going out to all hearty souls who wish to assist us in defending the Conch Republic ...from all enemies... animate and inanimate. 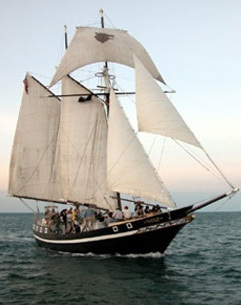 In addition to Tall Ship Sea Battles, there'll be plenty of other seafaring adventures to choose from. 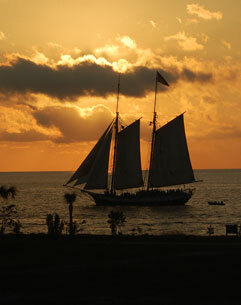 Pirates of all ages are invited to come aboard for an afternoon pirate sail, sunset sail or starlight cruise. Take an all day cruise to the Dry Tortugas... or grab your wetsuit and dive or sunken treasure! The fun continues throughout the week with maritime events, including lunch with noted authors and artists at La Te Da and a Caribbean pirate feast at El Meson de Pepe at Mallory Square. 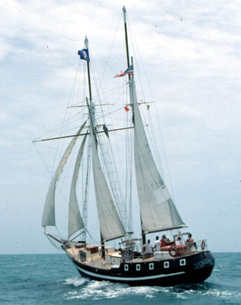 The Conch Republic High Command will be joining maritime historian and author Robert N. Macomber for his 5th annual Key West Rendevous, that includes an Historic Walking Tour of Old Town. Landlubbers can enjoy a salty gathering of sea folk at the Official End of America's Hurricane Season Ceremony and Concert AND Sailor's Shipwreck Holiday Ball & Pirate Feast on Friday, Nov. 30. The public is invited and there will be live entertainment featuring the Pyrates of the Coast, Knot for Sail & the Lounge Lizards in Paradise. On behalf of the Conch Republic Navy, we welcome you to our 13th annual Pirates in Paradise Maritime Heritage & Music Festival! Fair Winds and Full Holds!